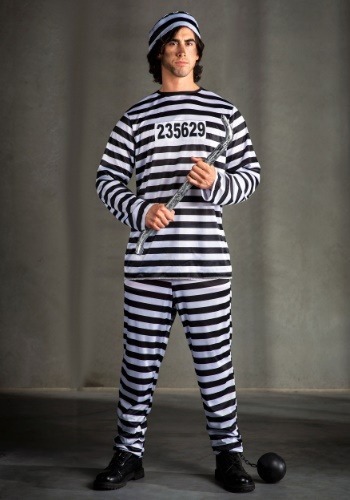 Plus Size Mens Prisoner Costume By: Fun Costumes for the 2015 Costume season. He may be bad, but this prisoner knows how to party. He's busting out of the pen and ready to create more mayhem...that is, until the cops show up! Wear this Plus Size Men's Prisoner Costume if you want to look like a smooth criminal.